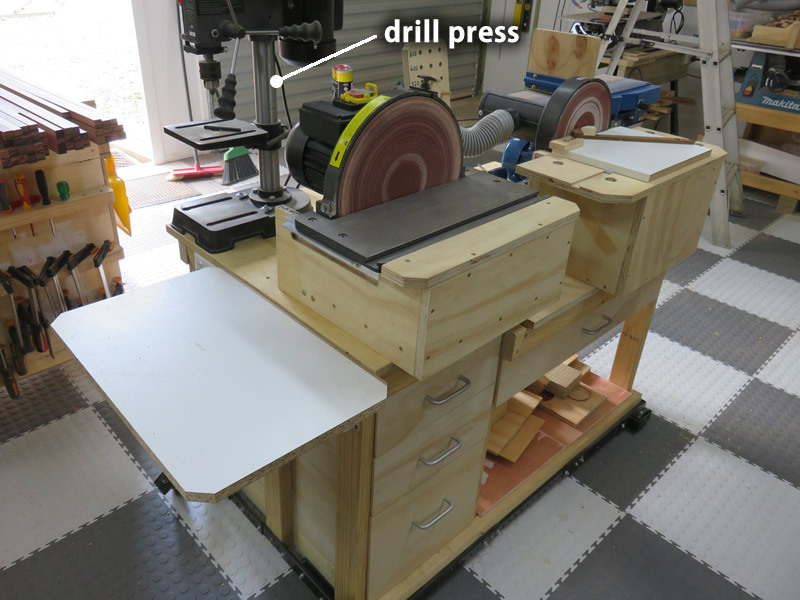 This workstation has two disc sanders, one belt sander and one drill press. Underneath the bench, there are drawers, shelves for convenience and four small casters with a frame called a mobile base. 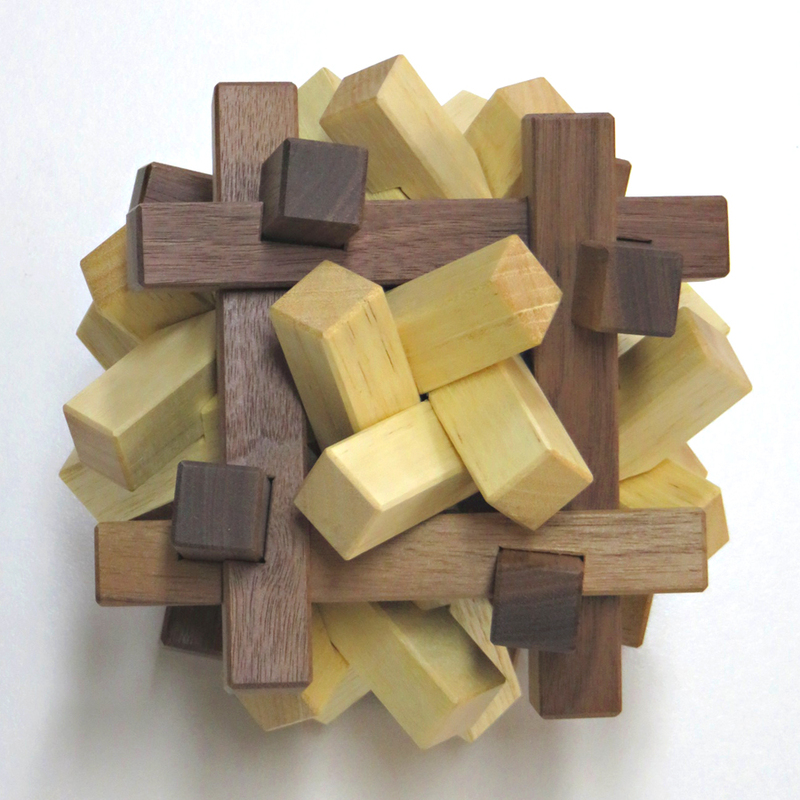 We make puzzles, that is, the most important point is accuracy. Juno focused on the small tables that were fixed to the disc sanders. The angle of the tables can be changed, but we normally use 90 degrees and there's no need to tilt. Therefore, Juno took the table on the right hand side away and made a table that cannot be tilted. He re-used the original table of the left hand side table and fixed it. Maybe you think that the table whose angle can be changed is more convenient. The reason that he got rid of the table is that the tables were not stable. 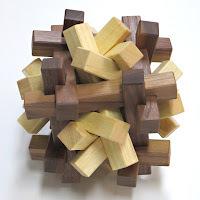 They were a little rickety and he thought they are not stable enough for making puzzles. It's also easy to change the sanding disks on these disc sander's tables. 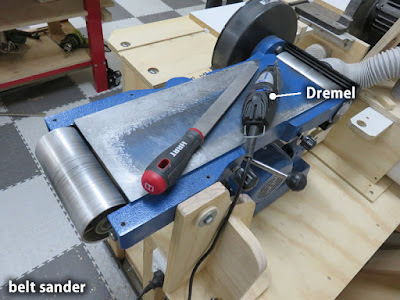 If you have an experience using a disc sander, you may know how it is awkward to change sanding disks. This picture below is the grit board sanding disks and belt. We sometimes forget the grit number of paper we are using. The grit number is printed on the backside of a sandpaper, so that once we attached the paper to the disc, it is not easy to make sure. That is the reason he made this board. 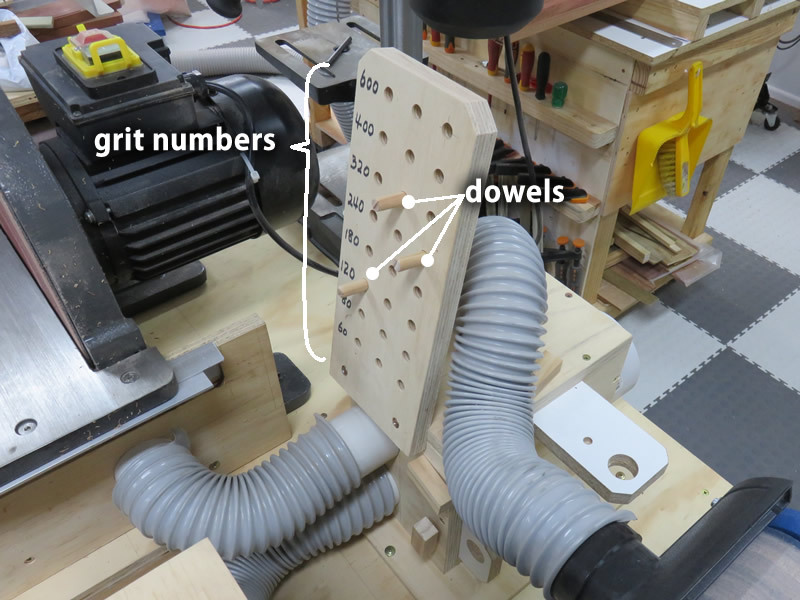 Unless we forget to change the little dowel to the right number (This is very important), this board works well. This is a belt sander that was customized. As we already tweeted on our twitter account on 11th October, 2016 Juno ground the base of a cheap belt sander using a Dremel (a dremel is a hand-held tool that can be used for cutting, grinding, sanding, buffing) and filed it to make it flat. We use this belt sander for sanding puzzle pieces and needed to make a flat surface, otherwise the pieces will be distorted. Here is the last picture showing several shutters and a hose. 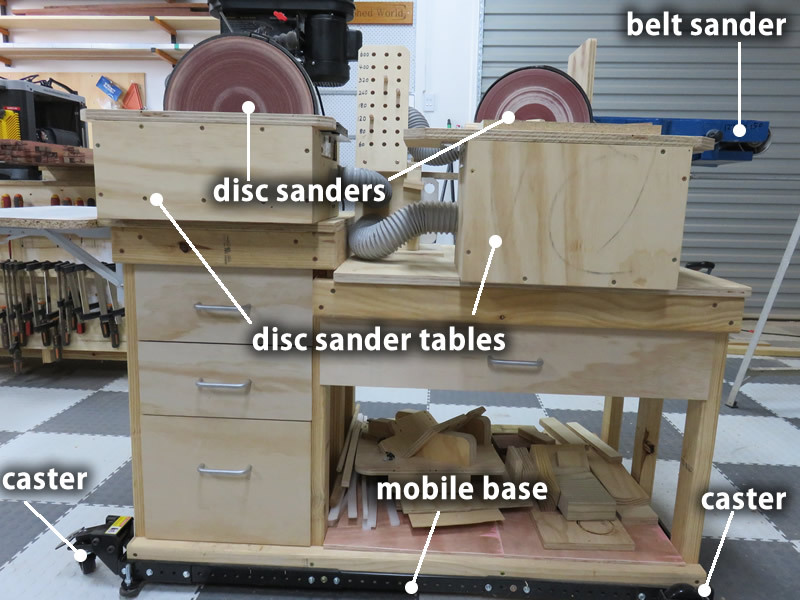 The two levers behind the box are connected to two disc sanders. When we use the disc sander, we pull the lever and open the hole that is inside the box, then the dust from the disc sander is vacuumed to the dust collector. The upper lever of the box is connected to the belt sander. 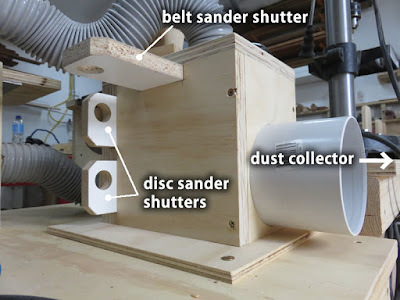 All the dust comes from disc sanders and the belt sander goes through the big hose joint on the right of this picture and goes to the dust collector. We have two dust collectors that are placed in different positions. This workstation has a mobile base with four casters and can be moved easily by one person. I am going to introduce other shed equipments someday. Since we have established our family business, we finally finished making our products" Raza 6-8." 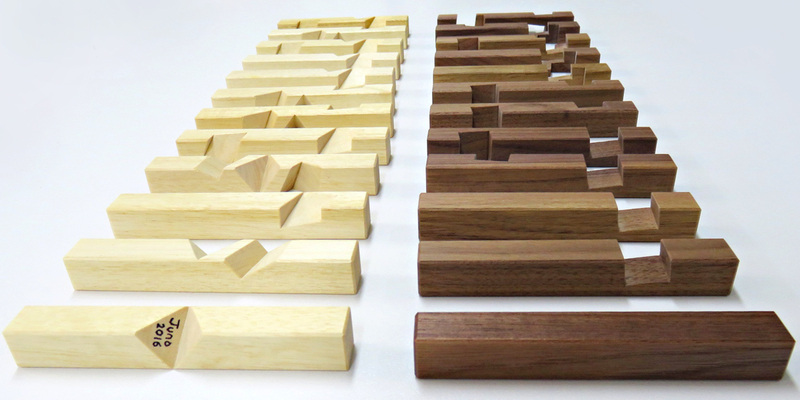 "Raza 6-8" is our first puzzle product as Pluredro (our family business name). 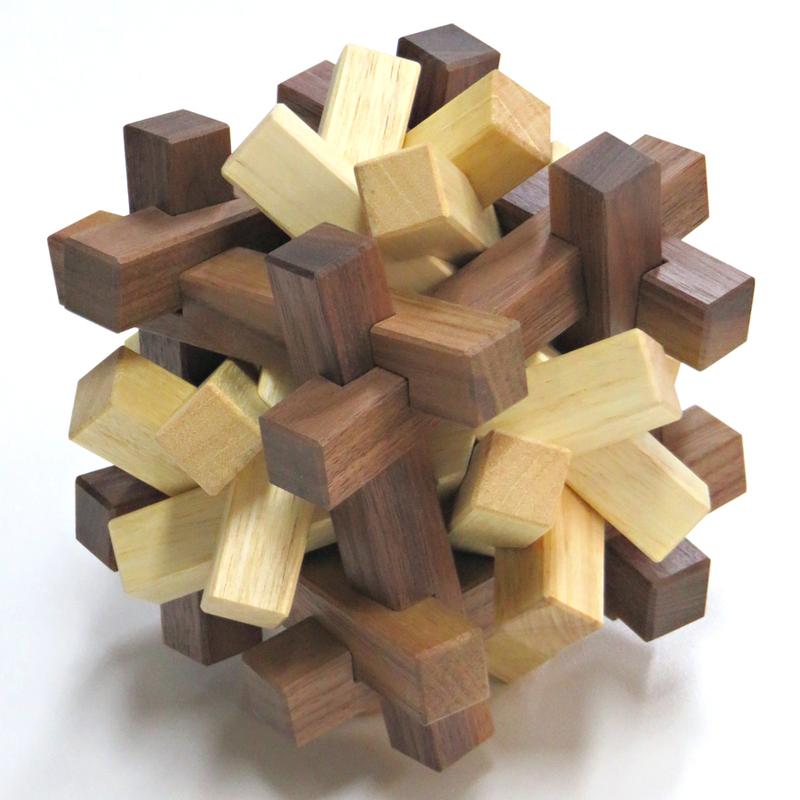 "Raza 6-8" is named after our friend who was a mathematician and loved polyhedra, Reza Sarhangi. Unfortunately, he passed away on 1st July, 2016. 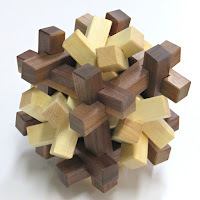 This puzzle is a polyhedral shaped interlocking puzzle, and designed and made by Junichi Yananose in 2016. 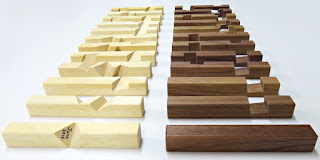 The materials are silver ash (white) and American Walnut (dark brown). These two colours' combination is really beautiful and also you are able to see which one of the colours is cube and octahedron. The shape of the puzzle is based on a compound of cube and octahedron. The inner octahedron itself is not self-standing. 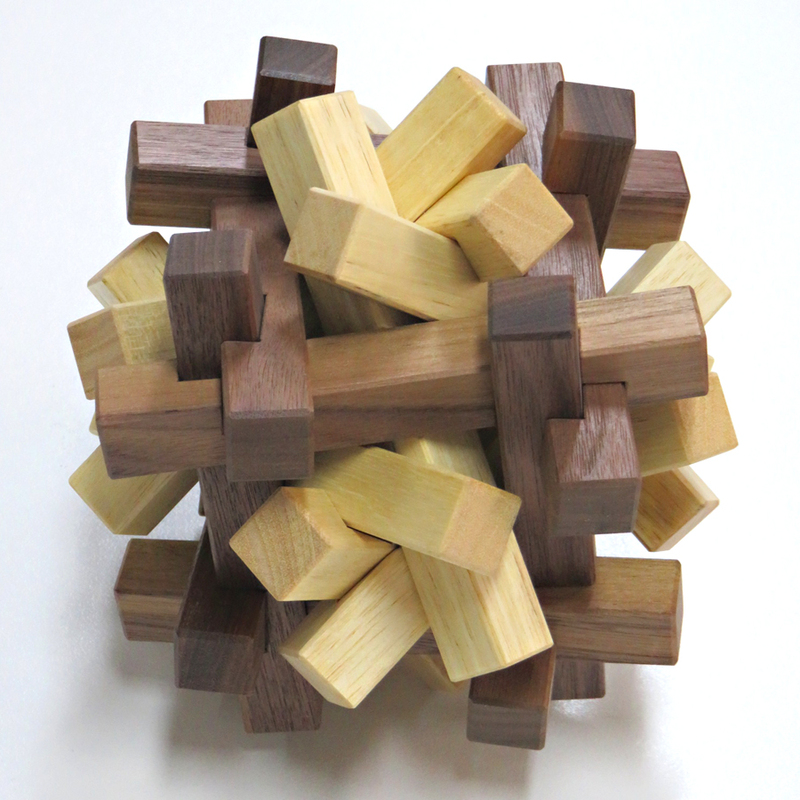 Once the outer cube is assembled containing the inner octahedron, the entire burr puzzle becomes stable and self-standing. 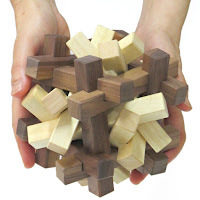 10 types of pieces are used for both the cube and octahedron to make the puzzle tricky and difficult enough even to serious puzzle enthusiasts. We hope puzzle lovers will love our first product.